I've got a new indie to show you all today! 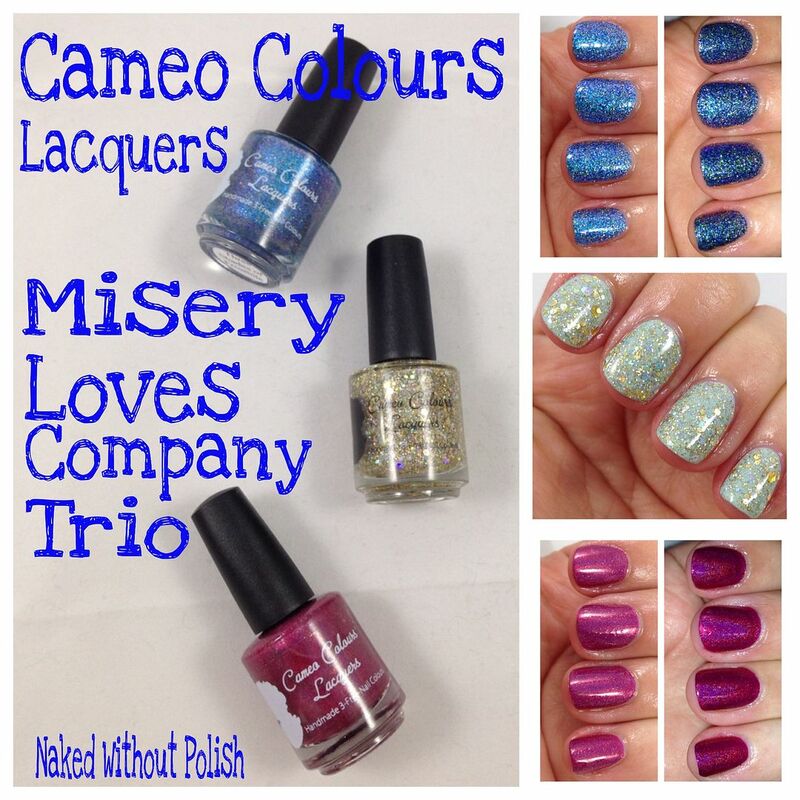 The lovely Quaint Paints Nail Lacquer sent me her three holiday polishes to swatch and show off. This may be a holiday trio, but within that trio is the Snowglobe duo. Two lovely toppers that are full of "snow" and glow-in-the-dark pigment. Take a peek at the swatches, and I'll tell you more about Quaint Paints Nail Lacquer later on. Cameo Colours Lacquers always kills it with her holiday collections. This year she decided to keep it simple with a trio, and boy does this trio blow me away. The trio has been out for a bit, but they are still available! Looking for some last minute holiday gifts for yourself or someone else? Definitely check these out!! You guys! 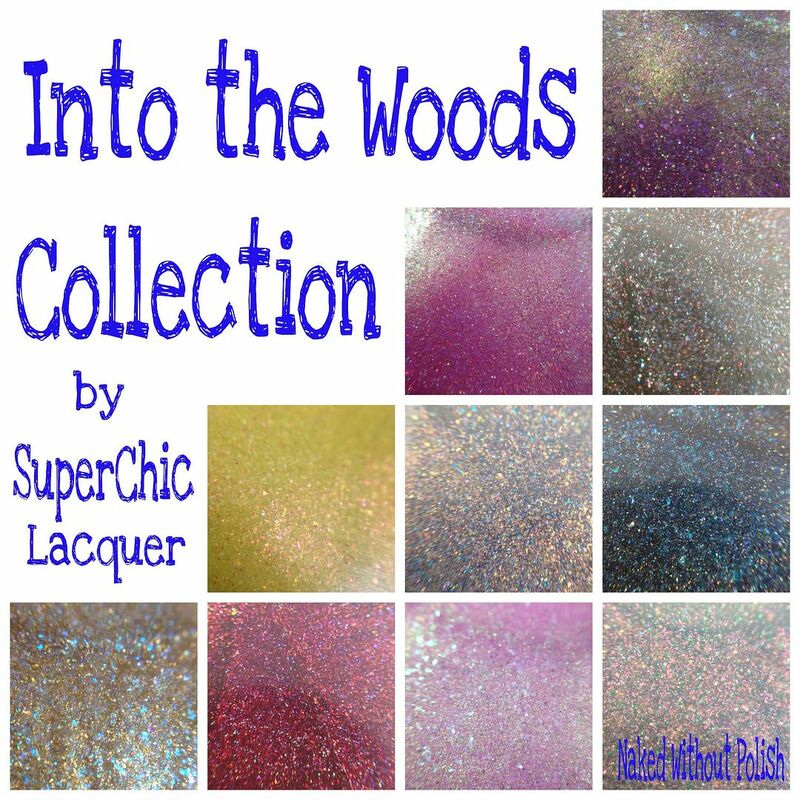 SuperChic Lacquer has done it again! I absolutely adored the Into the Woods Collection, and with each of her collections I wonder how she's going to make the next one better, but somehow she manages to do just that. 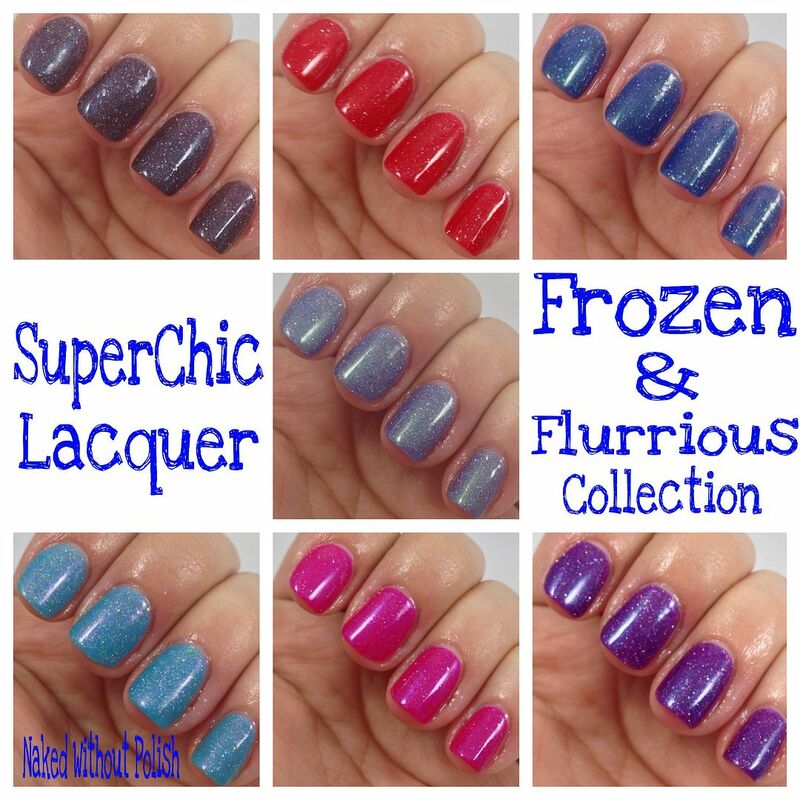 The Frozen & Flurrious Collection has been sold out, but she is restocking today! 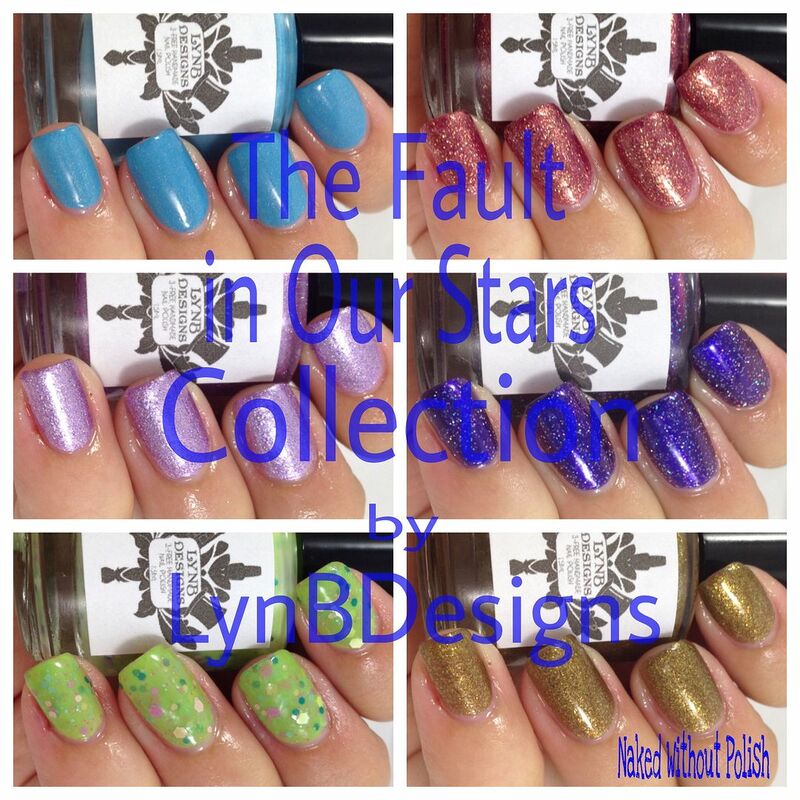 So, check out the swatches and fall in love just like I did! Don't miss out on these beauties! 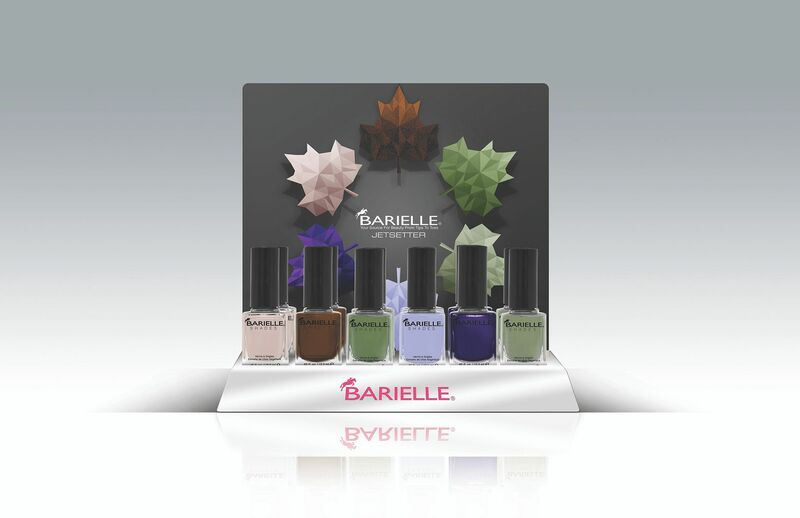 I have the newest collection from Barielle to show you all today. As much as I loved the Me Couture Collection, the Jetsetter Collection is definitely my favorite! I'm a lover of green polishes. Especially olive toned greens. In this collection we get TWO beautiful greens! One of them is even the exact color of my bedroom walls. I love these so much! You ready for this?! Can you all believe it's December already?! Time has flown for sure! 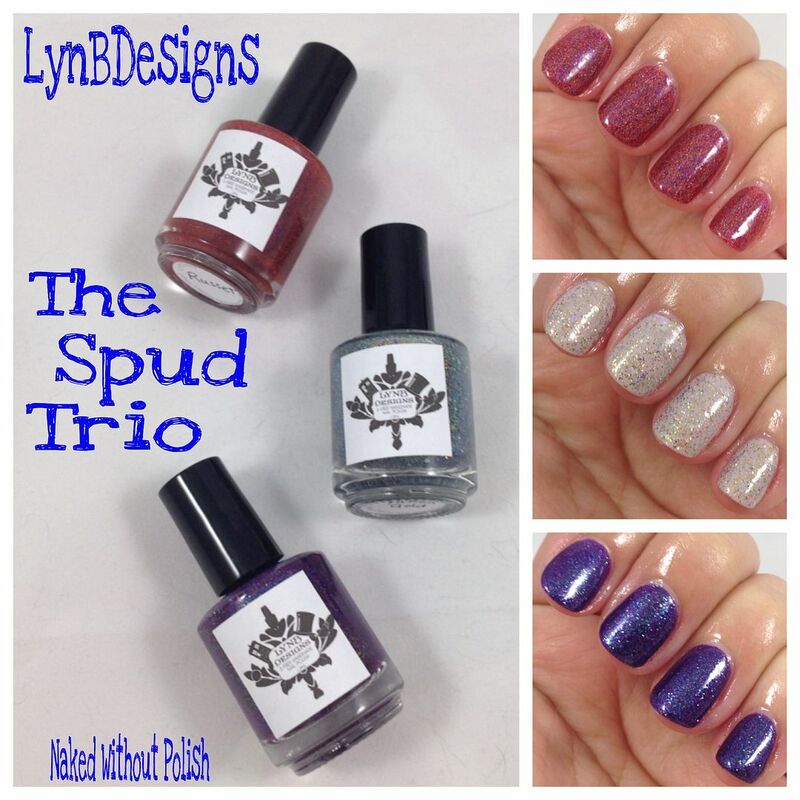 Do you remember last week's LynBDesigns Holiday Trio post? 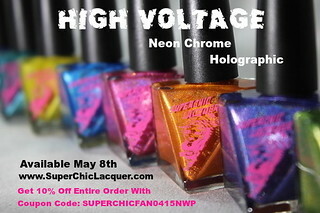 Do you remember the four limited edition gift with purchase polishes I told you about? Well, since the sale ends tomorrow, LynBDesigns gave me permission to do a post and show them off! Everything in the shop is marked down up to 50% off. For every $25 spent (up to $100), you get a free LE. 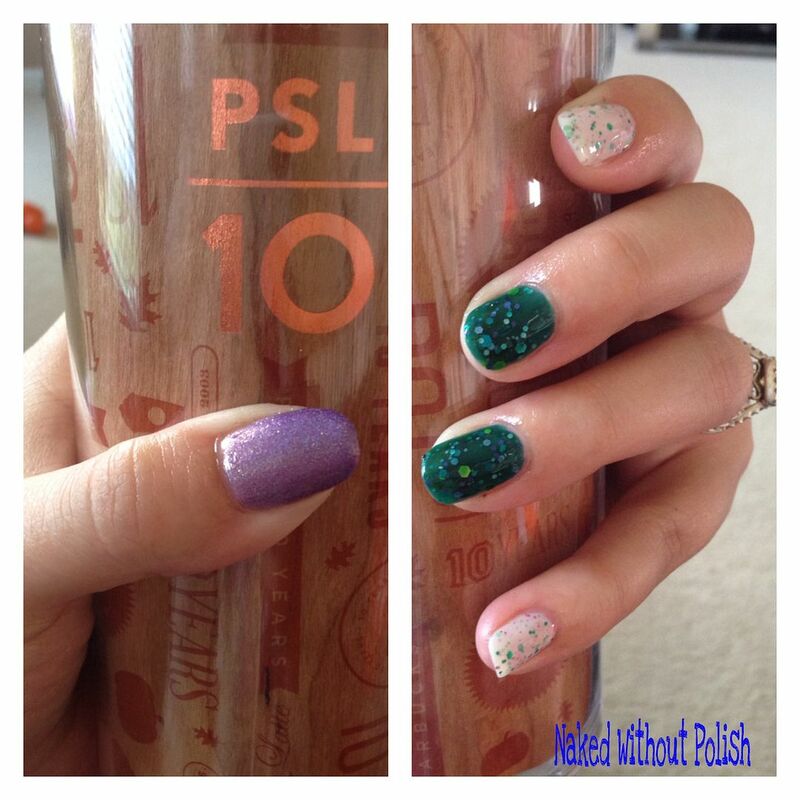 Now that you've had that refresher, you read for the swatches of all four limited editions? I know I have been absent for a while, but I'm back and with some fabulous goodies to show you all! 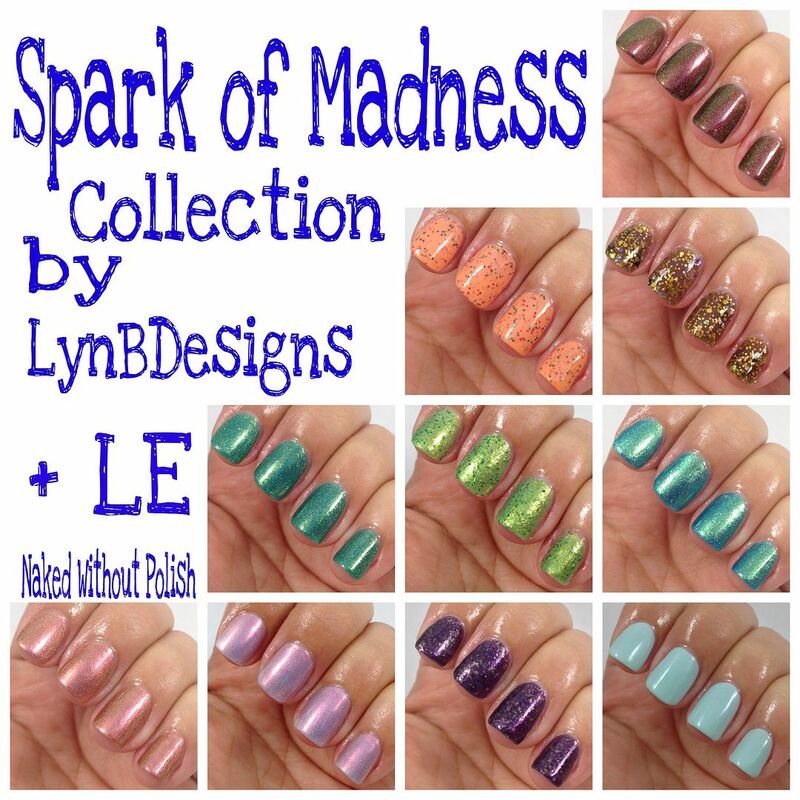 LynBDesigns has released not one, but two collections today to go with her Black Friday sale that also started today! The details on the sale will be at the end of the post so read through everything. 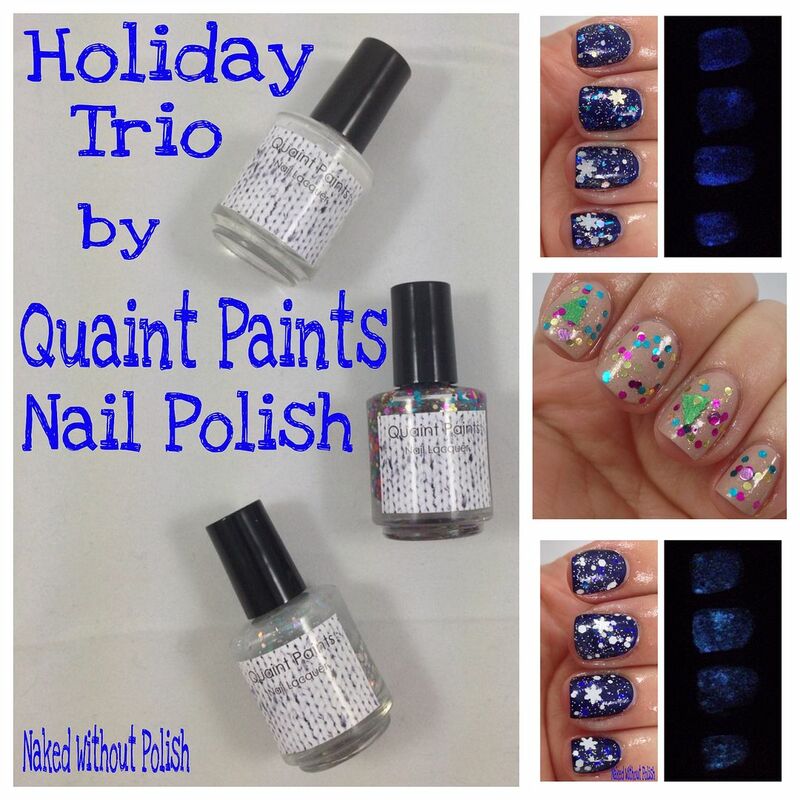 The first collection I have to show you is the Holiday Trio. The second, is the Essentials Collection. A little difficult to show, but I will tell you about each product. Happy Halloween, everyone!! I know I just showed you all the beautiful Matte Velvet Collection from Zoya, but I decided to make it a Zoya week and show you all the Wishes Collection as well. It's been slow are here for blogging, and I apologize, but I'm not going anywhere...just enjoying my family. :o) Now, for some swatches before a fun night of trick-or-treat! Forget the tricks - today it’s all about the TREAT! We want you to have an extra Happy Halloween, so let’s set aside the creepy costumes and horror films (at least for a minute) and focus on our favorite part - the goodies! 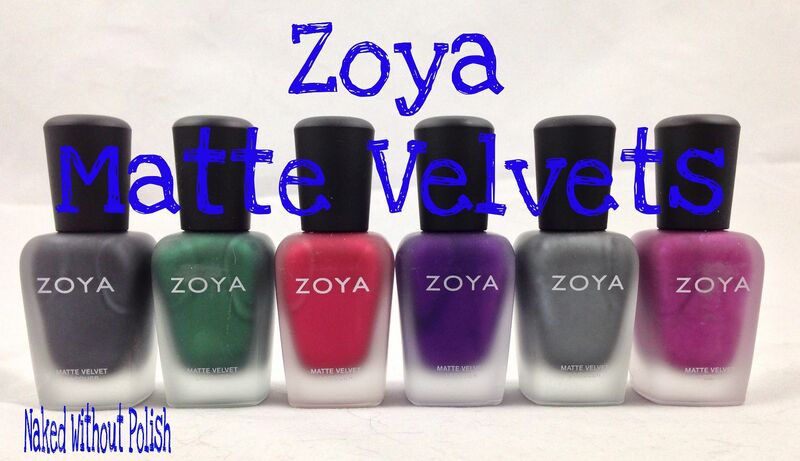 Now you can treat yourself with any 3 Zoya Nail Polish shades for just $15. With Zoya's selection of over 300 different shades in a variety of flawless finishes, you'll be ready to dress up your nails beyond Halloween! 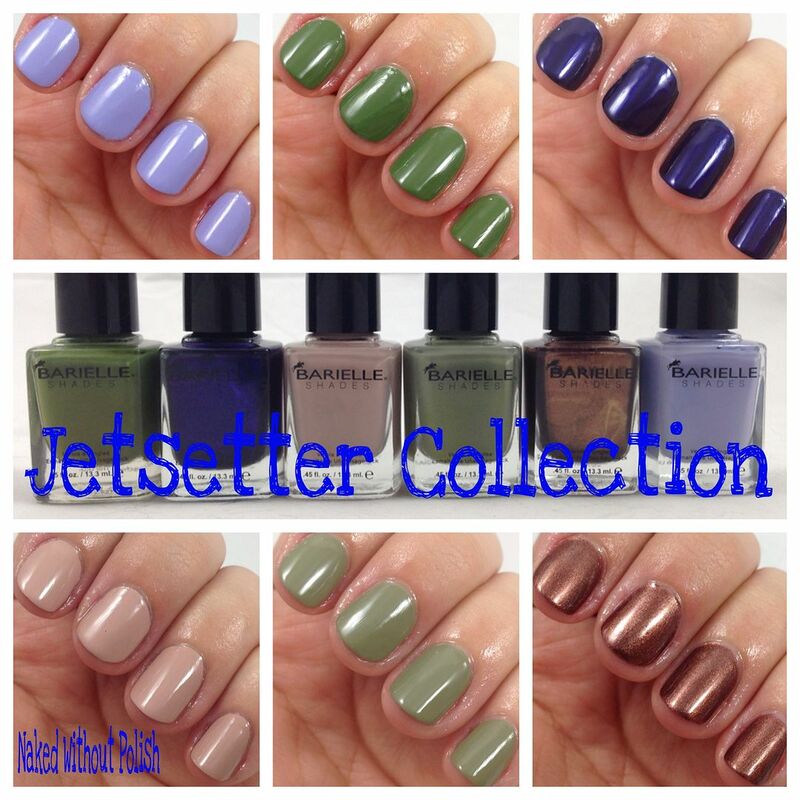 A look at the new Jetsetter Collection from Barielle. My nails are still a complete wreck. I really wanted to wait until they were better before I swatched these, but one can only wait so long to swatch the new collection from Zoya. I dove in, nails first, and fell in love. The Matte Velvets are perfection in every way shape and form. It was complete torture to swatch these. I put one on, fell in love, then I had to take it off and was heart broken. That is, until the next color went on. Don't believe me? Keep reading. Last year, Cameo Colours Lacquers released an adorable Halloween duo and she re-released Zydrate. 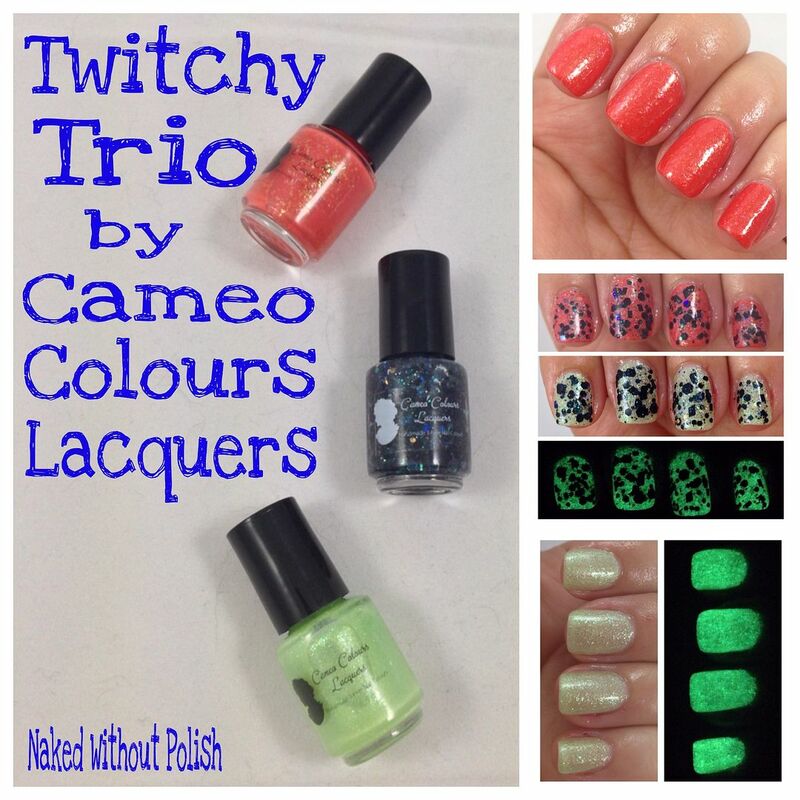 This year, she released Zydrate for a third year, but she also created a new trio...the Twitchy Trio. The trio includes a green version of Zydrate that is crazy good! I'm not going to ramble on about them though, how about I show you?! It's no secret that I love LynBDesigns' polishes. I knew there were others like me out there, so I reached out to Jenna to see if she was up for a fan group for her beauties. She was all over it. So, LynB Loves was born. It's been growing daily and we have so much fun in the group! 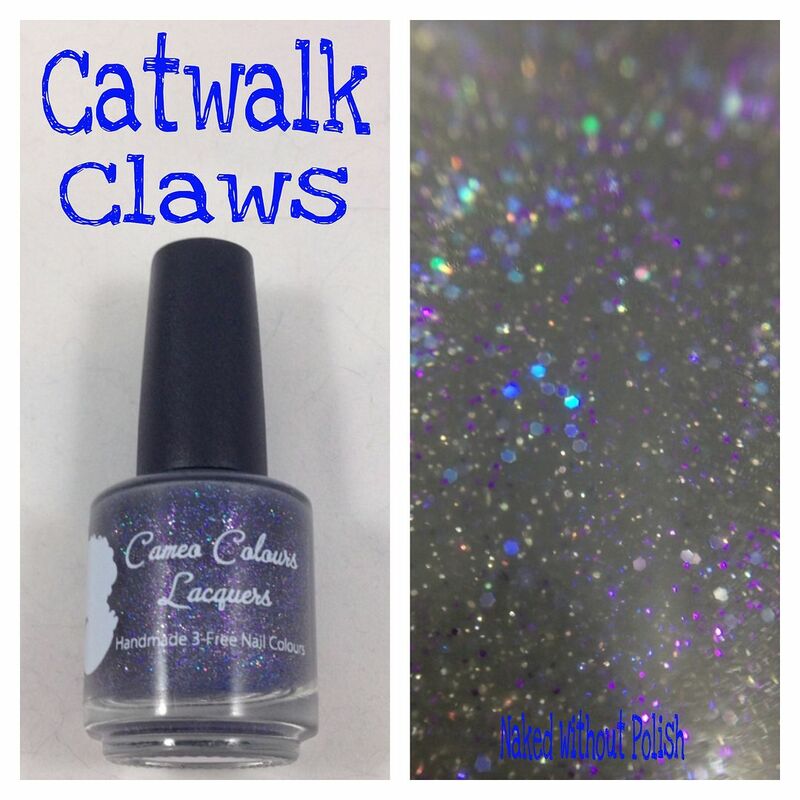 Ladies sharing manis, doing swaps, pre-orders, giveaways, and lots and lots of swatches. 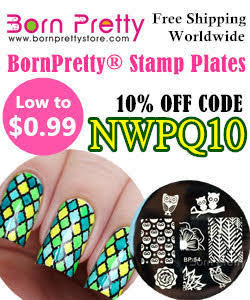 Recently, Jennalyn decided to do a special polish that was only available to group members. Of course, I had to snag a bottle for myself. I figured I'd show you all the swatches, and maybe entice those of you who aren't members of the groups yet to join. She's got 17 bottles of this beauty left. Once they're gone they are gone. On the blog today, I have a beautiful glitter topper from Cinema Swatch Lacquers for breast cancer awareness month. 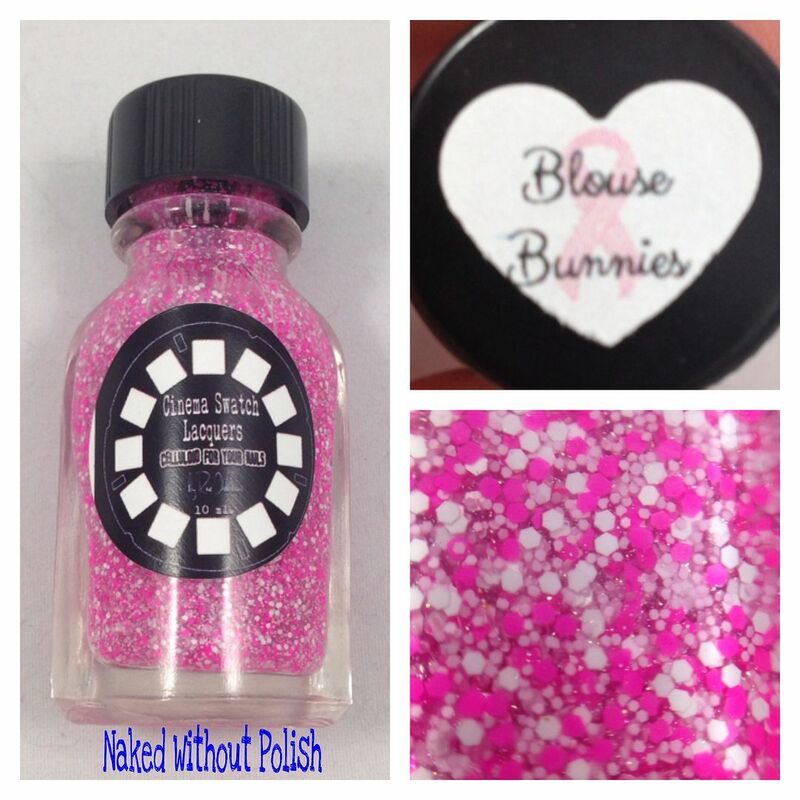 She created this glitter topper to help raise awareness on breast cancer and raise money for a few of the organizations that help fight cancer. Wishes really do come true with this magical new nail polish collection for Winter/Holiday 2014! Zoya Wishes** is a densely pigmented assortment featuring both traditional and Magical PixieDust formulas in coordinating color combinations that can be worn alone or combined into stunning combinations, no matter how you wear them, this collection delivers a fanciful way to celebrate the season! I am sorry I didn't get to do a post yesterday. I ended up spending the day battling a colony of ants that decided they really liked my pantry. :/ Not fun! Anyway, I have gotten them under control and was able to finish the post so we could close out the week with a beautiful collection. It all worked out! 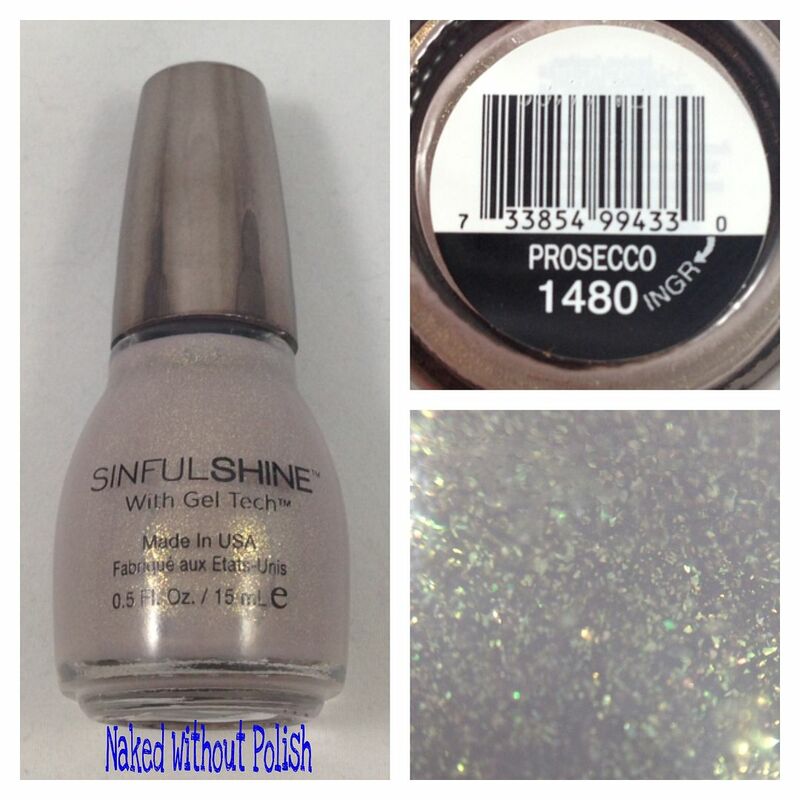 After people started posted swatches of this new beauty from SinfulColors online, I ran and hunted for it. Unfortunately, my Walgreens didn't have any. Luckily, a lady in a group I'm in had an extra and sold it to me! I was so excited I couldn't wait to get it on my nails! 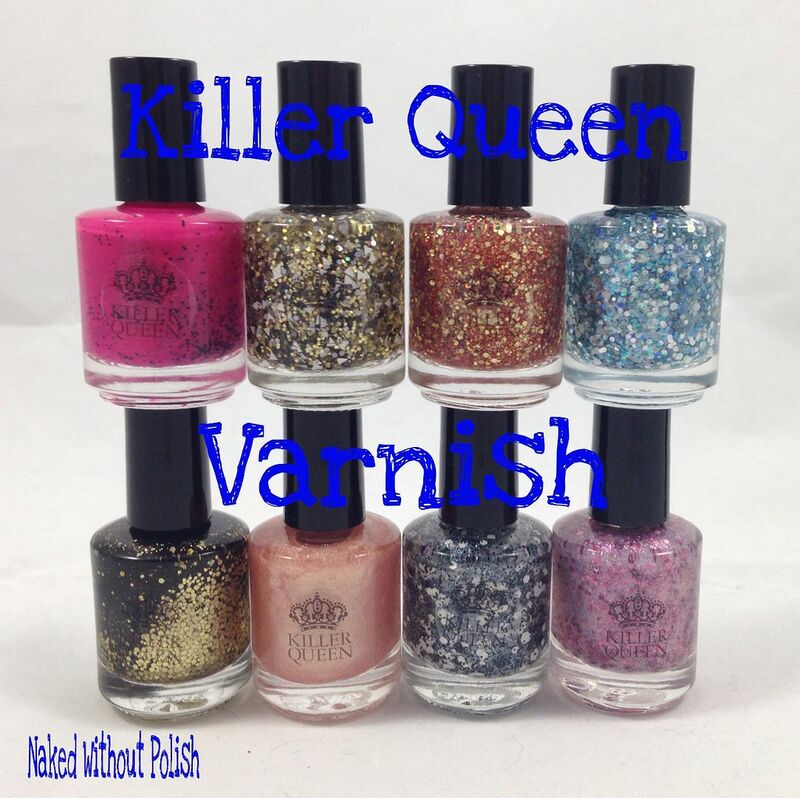 I was recently contacted by Sommer, the lady behind Killer Queen Varnish, to do some swatching and review products for her. 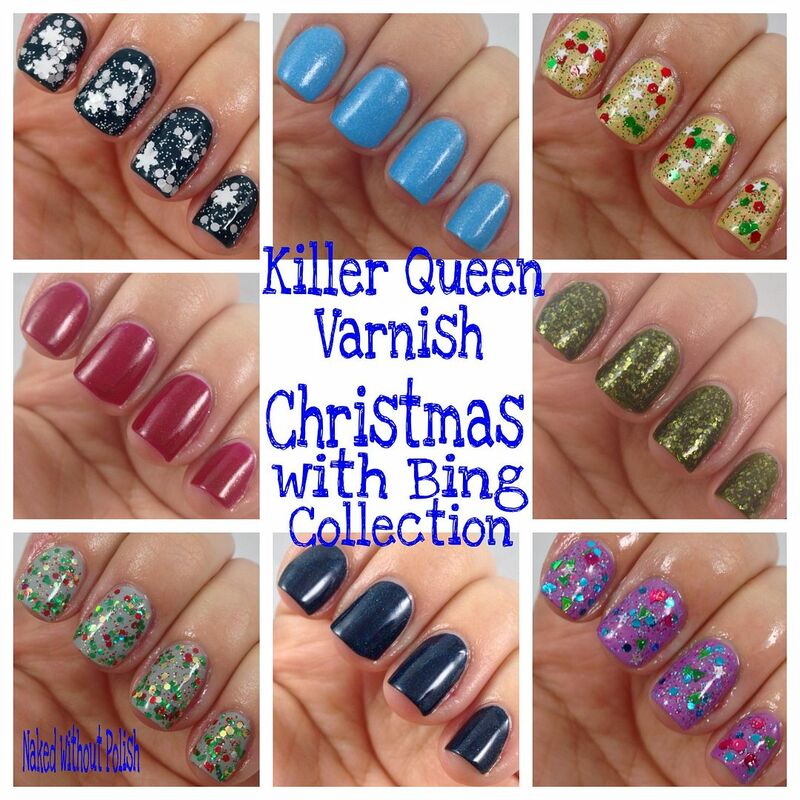 Killer Queen Varnish is a handmade indie brand that is fairly new. All her polish is 5-Free. I was pretty excited to say the least. Once they arrived, my only problem was trying to decide what to pair the toppers with. 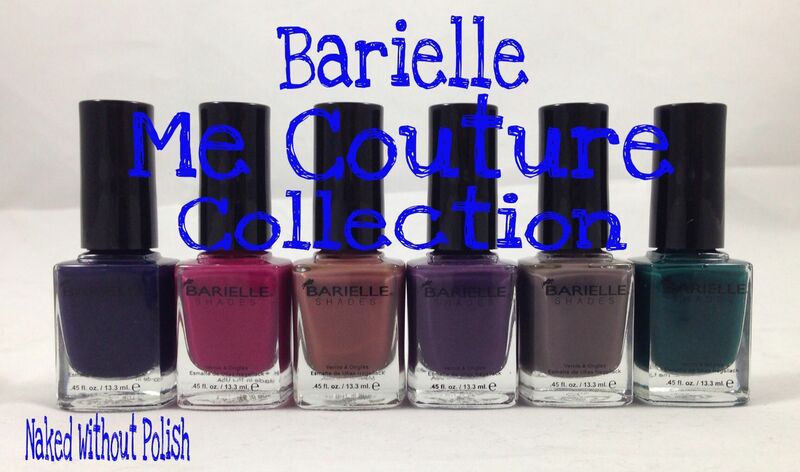 Then the Me Couture Collection from Barielle arrived. It was perfection! Happy Monday, lovelies!! I hope you all had a wonderful weekend. I sure did! I went to a baby shower for Kat from KatStaysPolished. I was the only other blogger there, but it was nice to finally meet her, as well as her friends and family. I had a tough time trying to decide what to wear, so I went for my normal hodge-podge mani. I chose my new favorite polish, which happens to be from LynBDesigns, as well as 2 others of hers (from her upcoming collection) and a favorite of mine from Cameo Colours Lacquers. Want to see and know details? Keep reading!! I figured it would be fun to close the week with an introduction. 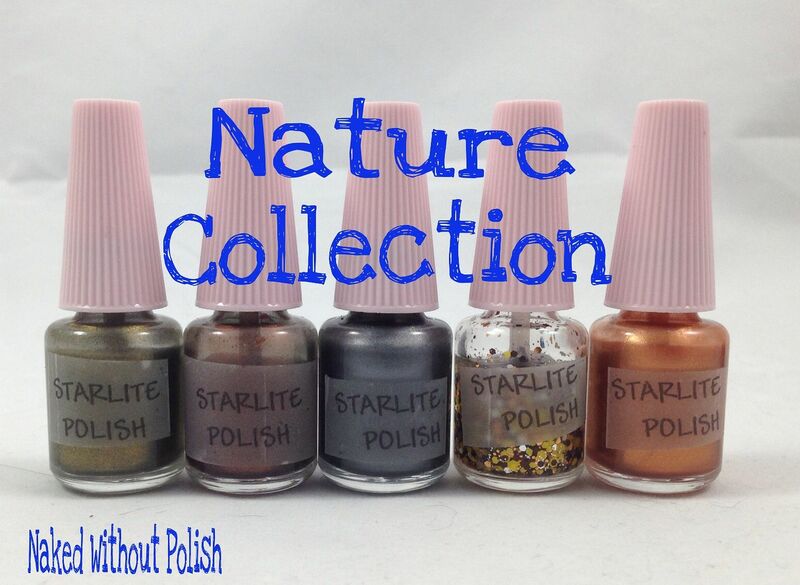 The brand new indie company, Starlite Polish has opened it's hypothetical doors to the world and the introductory collection is on my blog today! Starlite Polish handmakes all her polishes with cosmetic grade glitter and mica, and are all "BIG 3 FREE" (no Formaldehyde, no Toluene, no Dibutyl Phthalate). 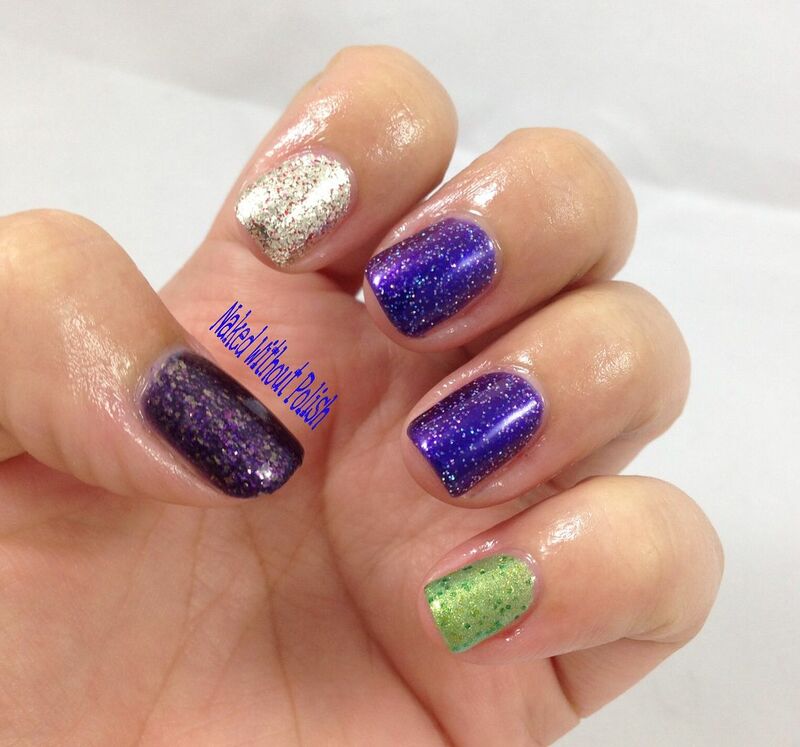 The Nature Collection is a five piece collection consisting of 4 metallic holos and a glitter topper. It's such a simple, yet perfect, collection to come into the polish world with. Keep reading for swatches! When this collection showed up at my door, I squealed. I couldn't wait for this one! My fall motto is "You can't have enough cremes." 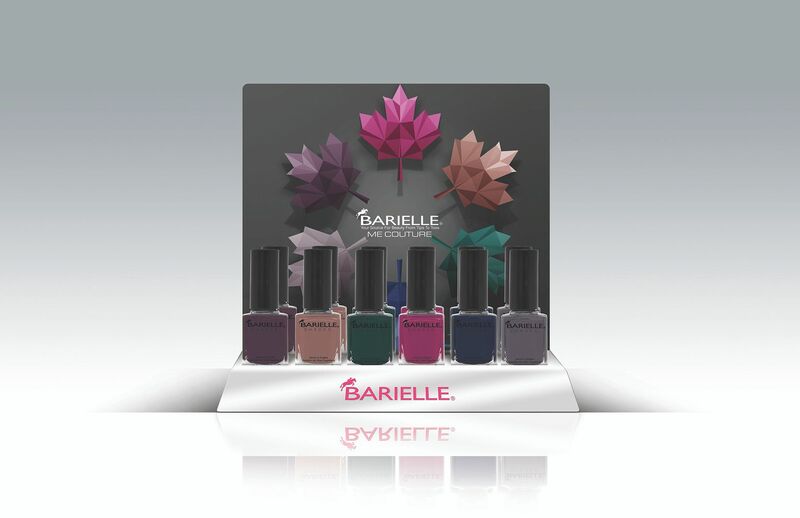 Barielle nails the cremes every time and the Me Couture Collection is full cozy, creamy, fall-toned cremes. I bought this Funky Fingers trio a while ago at Five Below. I had put it aside to give to my daughter on her birthday (which was 2 weeks ago). She turned 5 and has a few bottles of her own polish, but they are all minis. These were her first full sized bottles of polish, and she was beyond excited. Of course, I had to try them out myself. Want to see? 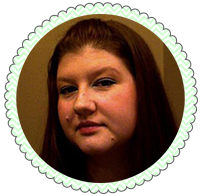 I was sent another box full of goodies from Influenster to test and review for you all. This time it is the Vitality VoxBox. It was full of items one would use on a daily, or almost daily, basis. It's Monday, anyone else think this week should start off with a new collection? Maybe one from Zoya? How about the new Ultra PixieDusts? Yup, the newest trio is on the blog today and these are even better than the Magical PixieDusts. When these beauties arrived, I got so excited I swatched them immediately. Keep reading to see more! Happy Friday, everyone! 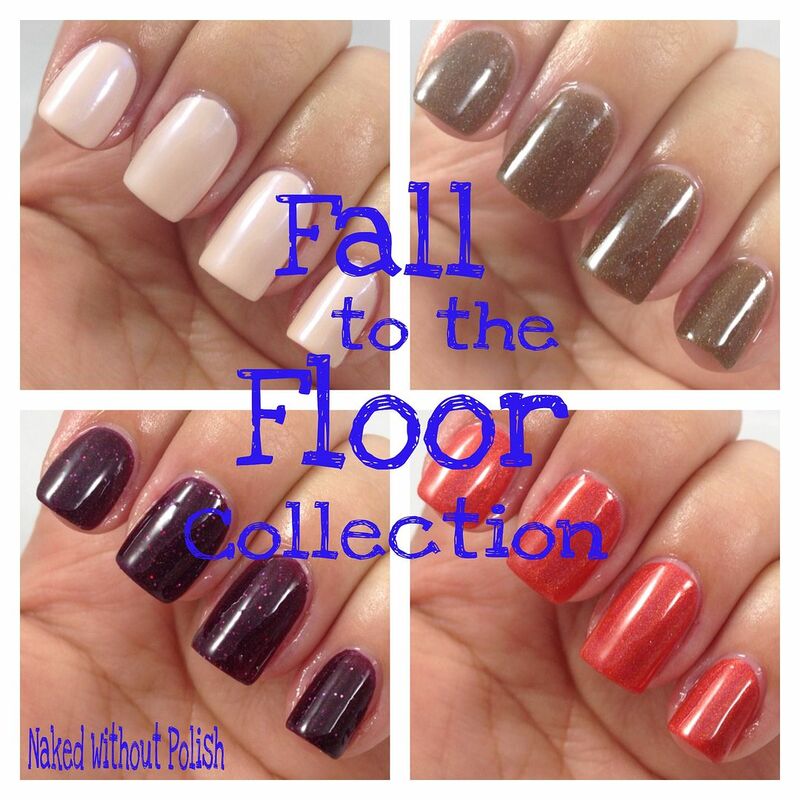 I've got the beautiful new Fall to the Floor mini collection from Cameo Colours Lacquers to show you all today. There are only four polishes in this collection. It's nice and not so overwhelming. While it may have a Fall themed color scheme, these are all colors that are sure to be loved year round. The weather here is the ultimate Fall weather. 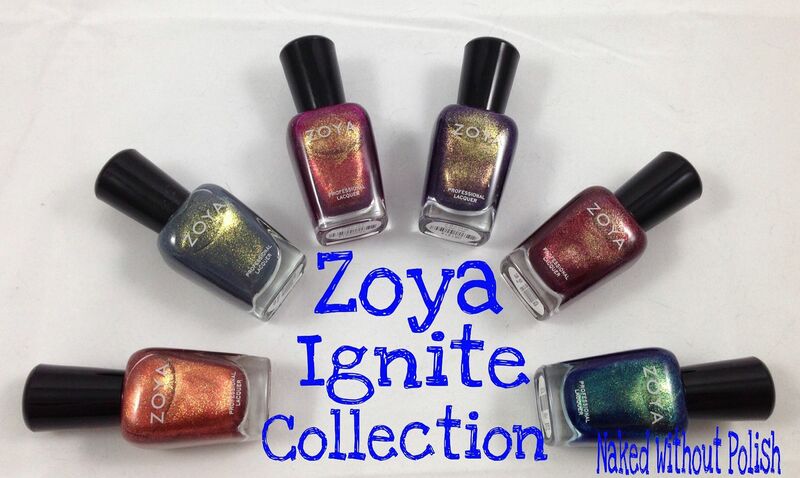 What is a better way to start this Thursday off than with the new Zoya Ignite Collection? This collection is paired with the Entice Collection (which I swatched HERE) for their transition into fall collections. One set is cremes and one set filled with beautiful gold flecks with almost a metallic finish. They pair together beautifully! Keep reading! I have been waiting for so long to show you all this collection!! As you know, when LynBDesigns has a new collection releasing I will post about them the Wednesday before the release. This one was really hard to not post about though. The Fault in Our Stars is a wonderful book that was recently released as a film. I haven't seen the movie yet, but I've read the book. It's a quick day read, so if you find yourself with nothing to do, read it! Yes, it might be a sad book, but you'll find yourself laughing more than crying. I'm back!! After a fun couple weeks with the family I spent yesterday with a major swatch fest so I've got some fun stuff to show you all this week. A tiny peek at one of the Fall/Winter 2014 Collections from Barielle. I'm back after a crazy last week (this week is going to be off and on as well, I've got a sick kid AND it's her birthday week, and the hubs is home all week, so of course that throws EVERYTHING off) with the wonderful Entice Collection from Zoya. If this collection doesn't instantly put you in the mood for pumpkin spice everything, comfy sweaters, and the crunch of leaves under every footstep, you're completely hopeless. I have been waiting to be able to do this post for so long. 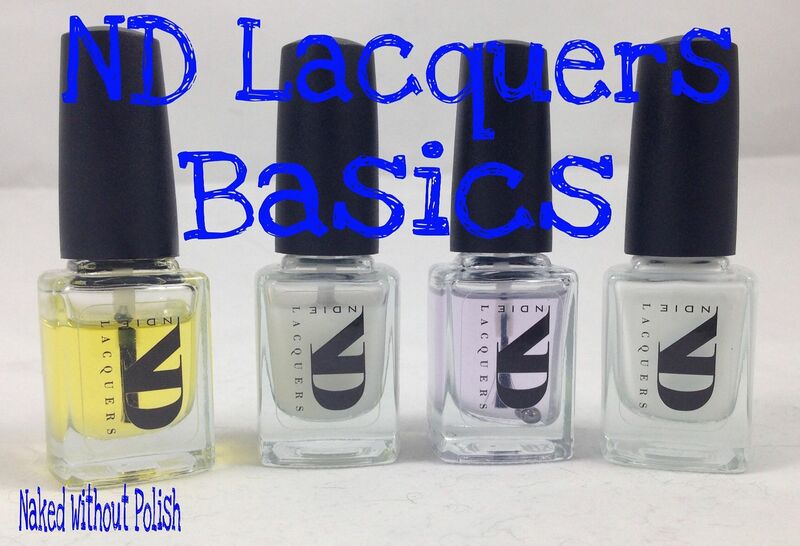 I have been testing some wonderful products from ND Lacquers, and it's been hard to keep my mouth shut. The products are her Basics Line. 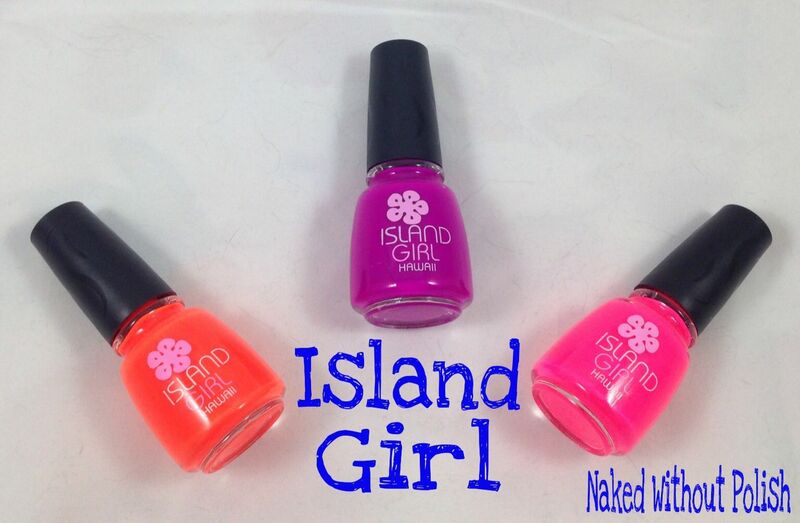 A set of cuticle oil, base coat, top coat, as well as a peel off base coat. These items will be released on Sunday, August 31st (8/31) so you've got time to put money aside. You're going to want to try all four of these! Happy Monday, lovelies!!! This week is going to be extremely crazy! I might not have posts every day so bear with me. It's my little munchkin's first week of school...ever! So, of course our household is a huge ball of mixed emotions. My husband and I are taking turns breaking out into tears because we can't believe it's already that time, and, of course, our daughter is so excited and has been driving us nuts because she's been wanting to go to kindergarten since she was 2. Crazy kids! I couldn't be more excited about today's LynBDesigns post! When Jennalyn told me she was doing a Big Bang Theory inspired collection, I admit, I went through more emotions than I probably should have. I'm super excited for today's post! I was approached by Candace, the lady behind Radiantly Vivacious/DazzleGlaze, to review her newest collection. 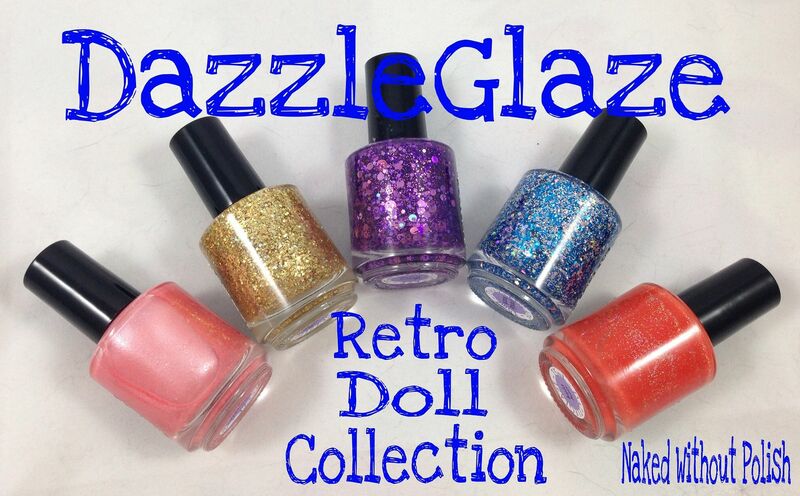 When she told me it was called the Retro Doll Collection and inspired by old Barbies I knew I had to say yes! My mom used to collect Barbies when I was younger and I always had a blast hunting for them with her. It turns out a lot of the ones the collection is inspired by were favorites of mine when my sister and I would play together. I went and got another pedicure with my mom and daughter last weekend. It wasn't nearly as good as the one I reviewed here. The lady who did my nails wasn't paying attention and messed up my big toe on my right foot. So, I had to redo it myself when I got home. I was so upset. I really HATE doing my own toes. But I absolutely LOVE the polish I had her use. 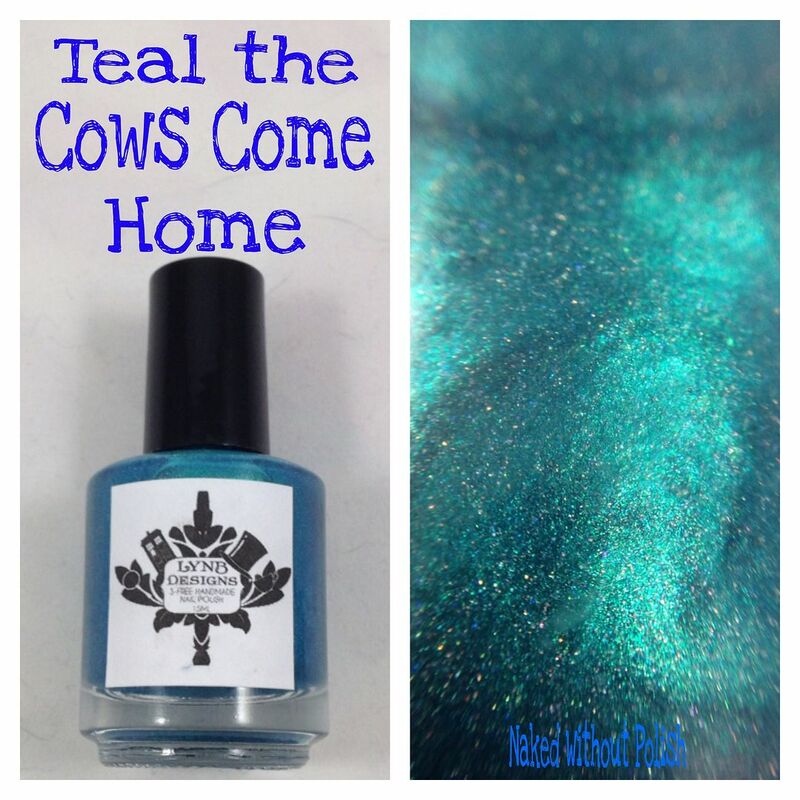 This is another sneak peek at a LynBDesigns polish that will be released on Friday, but will be on the blog on Wednesday. Ready?! I have a little NOTD (Nail Of The Day) for you all! My mother was in town over the weekend, and I had to throw something on my nails to keep me from "working" while she was in town. I mixed a little old with some new and threw together a combination I was super happy with. 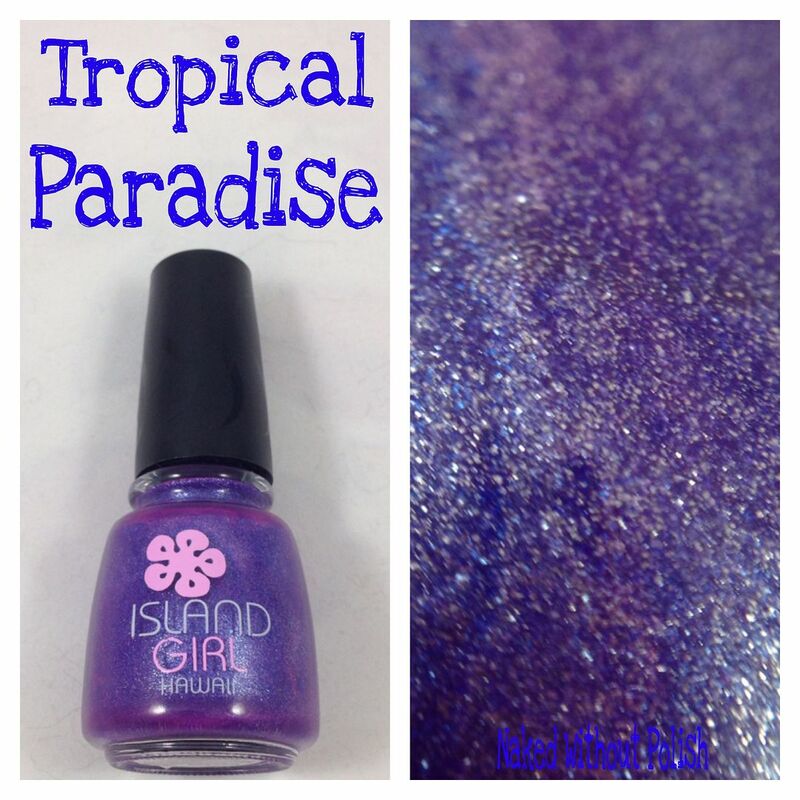 I've got another beautiful Island Girl polish to show you all today! This one completely caught me off guard and I pretty much fell head over heels for it!! 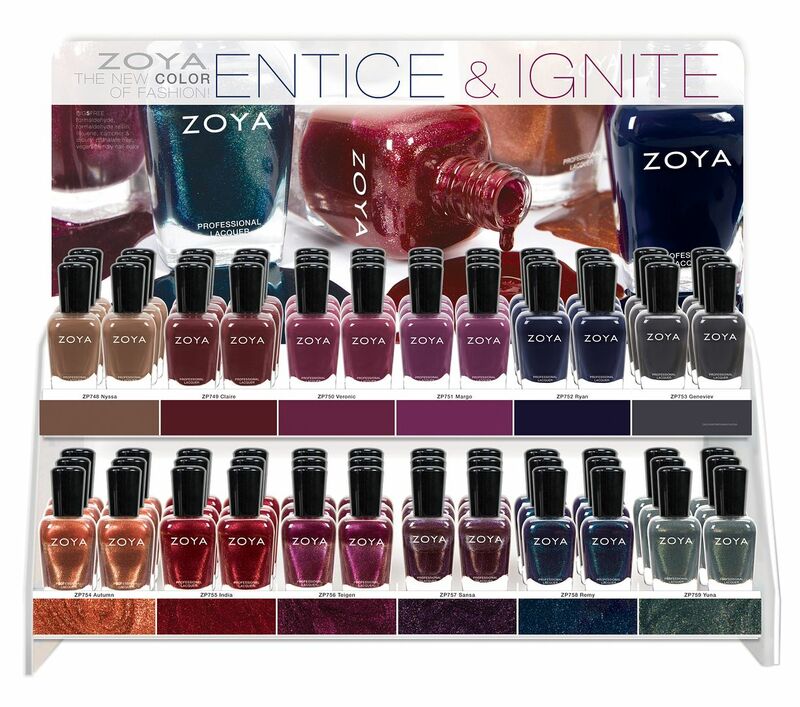 Inspired by the classic wools, textured brocades and metallic accents of the season, Zoya's new ENTICE & IGNITE collections create a palette of lush, deep color including wines, browns, navies and greys. I ended up having a girls day on Monday. My mom was in town for the weekend, so my daughter and I just spent some lazy cuddling time watching some movies she got for an early birthday present. Now, I've got a slight migraine so staring at a screen is doing me no favors. Gonna keep this short, sweet, and informative. I run a LynBDesigns fan group (if you're a fan and want to request to join, the link is below), and I was recently asked to compare The Credible Hulk and Absinthe Makes the Heart Grow Fonder. I had been meaning to do the comparison since I received Absinthe as a gift, I just totally forgot. So glad, someone requested it. I thought I'd do a simple swatch for you all today! 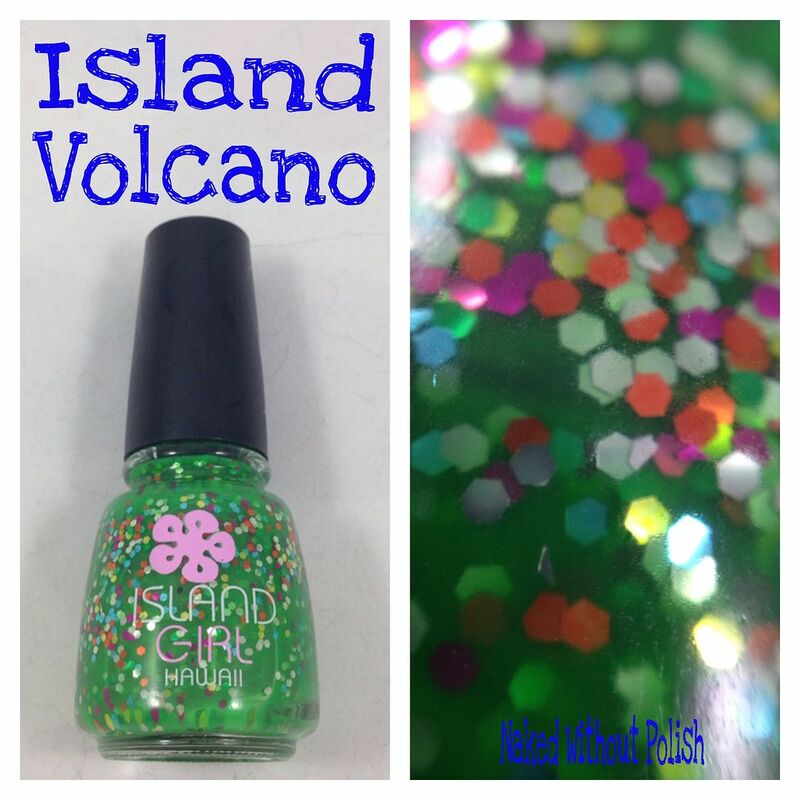 My girlfriend recently visited Las Vegas, and was able to snag me a few beautiful Island Girl polishes. I was so freaking excited! I couldn't wait for the package to arrive because I told her to surprise me. I got so many beautiful ones, but I had to start with this one. I recently babysat for a friend, and as a thank you, she set it up for me to get a pedicure from her favorite salon/technician. I was in dire need for one and was extremely grateful! I was so pleased, I decided to do a review, so beware, there's a photo of my toes. YOU GUYS!!!!! 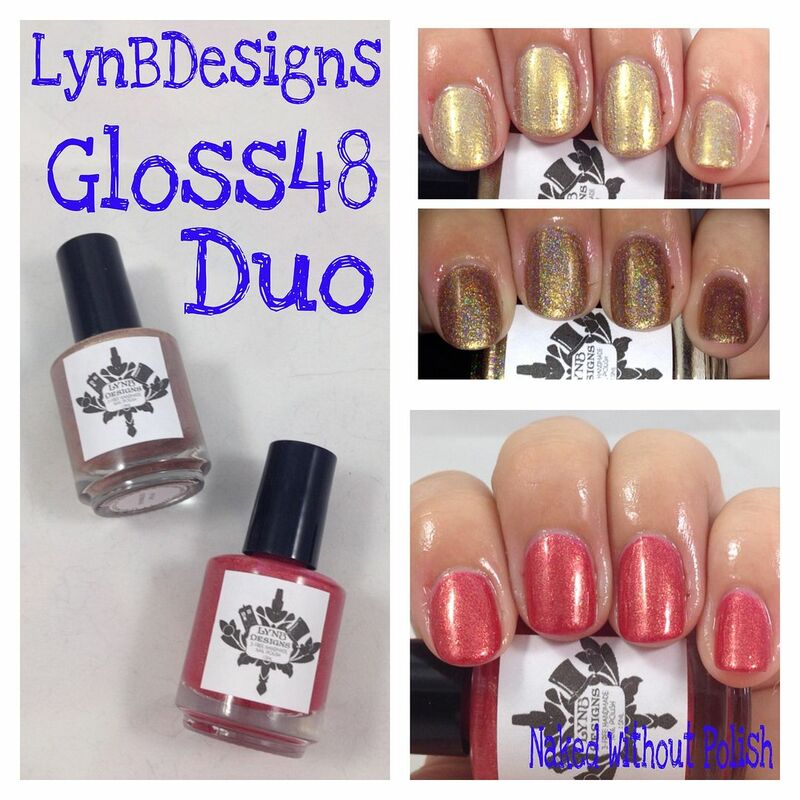 LynBDesigns is going to be on Gloss48 (that's my referral link in case you want to use it!) today! She's got a beautiful duo that will ONLY be available on their site. It will NOT be available in her ETSY shop. 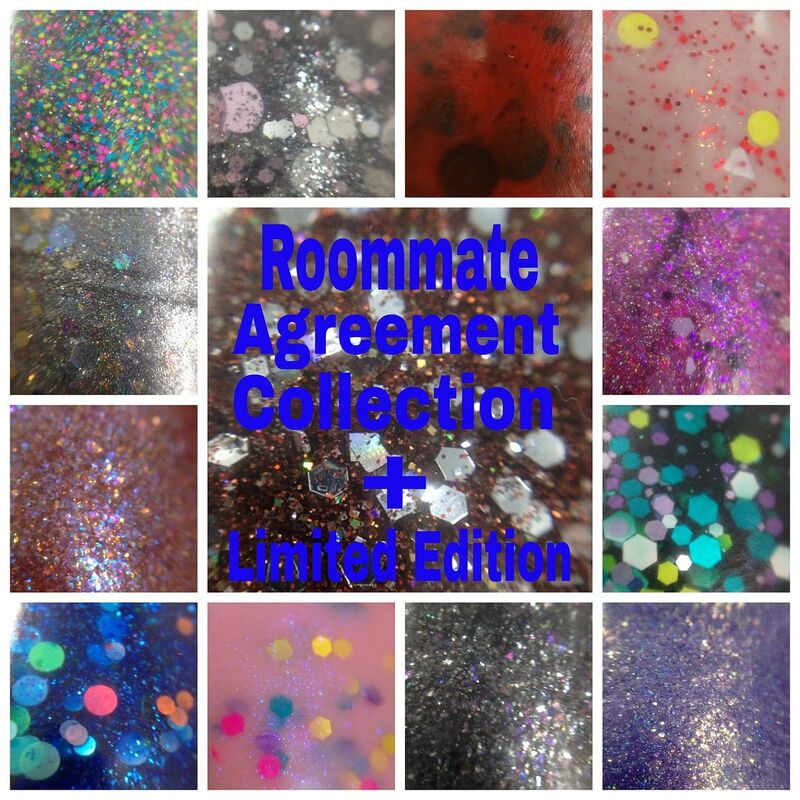 These will go on sale today and will only be available for a limited time so check out the swatches and I hope they help you decide what to get! I have been waiting to do this post for so long!! This is the Cameo Colours Lacquers polish I tried to do a couple weeks ago, but when I was swatching it, we realized that I was sent one from an earlier batch and it had been changed since. She sent me a brand new bottle, and I'm so glad she did. As much as I loved the first version, this one is absolute perfection!! Trust me!! 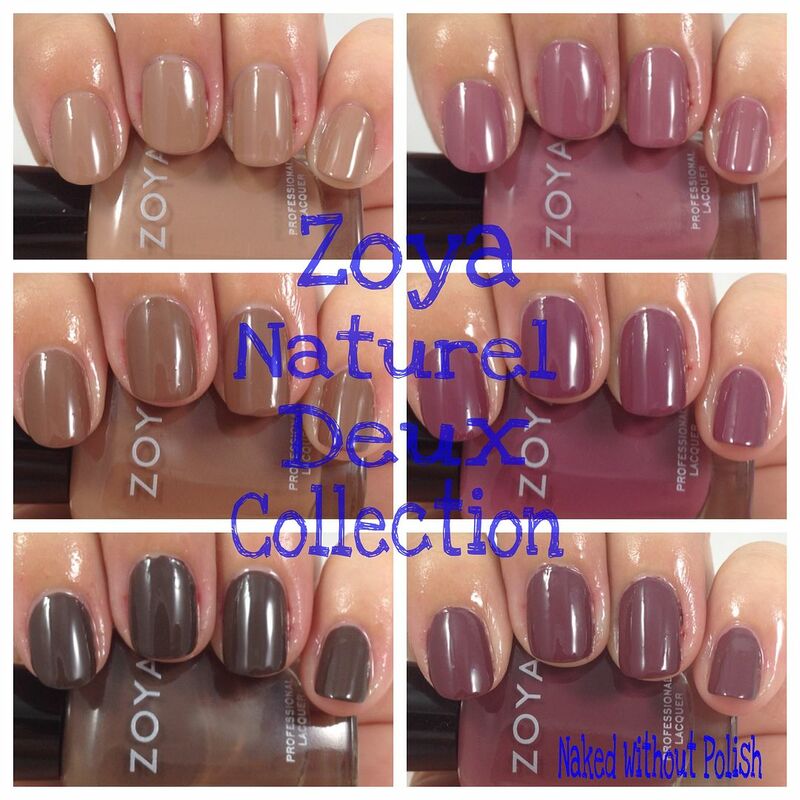 It's the first Monday in August, so I thought I'd kick off this week with a post I know a lot of you had been waiting for...Zoya's Naturel Deux Collection. If you missed the first collection, you can see my swatches HERE. The Naturel Collections are full of perfect brown and plum toned nudes in different shades. I loved the first Naturel Collection but Naturel Deux Collection blows it out of the water! Take a peek at their 2014 Transitional Collection. I've got a press release from China Glaze for you all today. 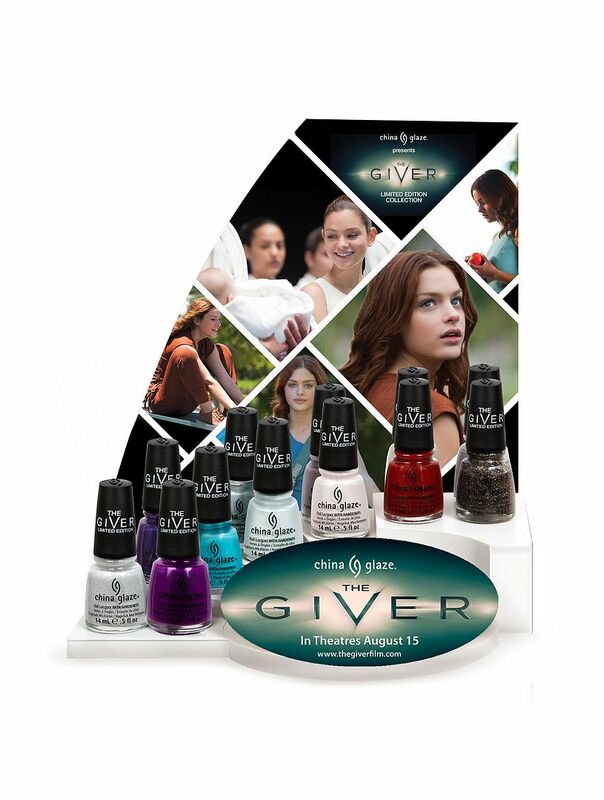 Take a peek at the stunning The Giver Collection!! “Colour Your Destiny” with the bright colors and rich textures of China Glaze®’s exclusive The Giver nail polish collection. 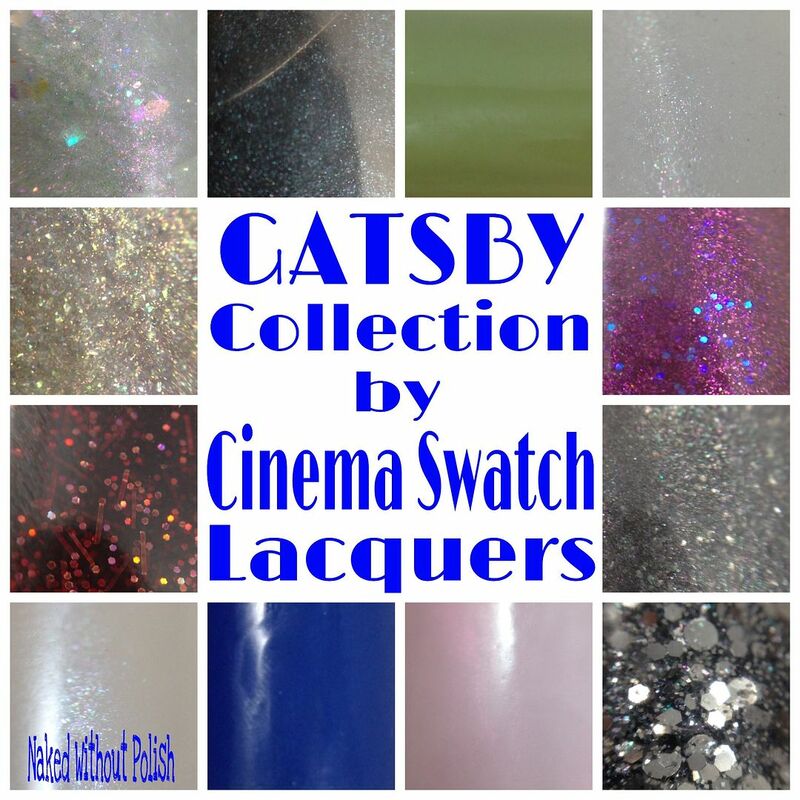 Inspired by the most anticipated movie release of the summer, the collection combines bold and neutral crèmes, and a gorgeous glitter to create 12 limited edition shades. It's the first day of August!! And have I got an exciting post for you all today! Recently, Barielle asked me what products of theirs would I use for the perfect manicure. This was such a fun idea and opportunity it took me a while to really figure out what would make the "perfect" Barielle manicure. It's the end of July already?!?!?! WHAT?! Why is this year going by so fast?! My daughter is starting kindergarten in less than a month. This is just making me depressed! So let's get back to polish. Polish makes me happy. Polish doesn't leave me and run off to school when it turns five years old. As soon as Jennalyn, the lady behind LynBDesigns, told me she had created a mini collection inspired by potatoes, I didn't know what to say. Then I got excited! This woman finds inspiration in FREAKING POTATOES!! I told her I didn't want any sneaks, but that I HAD to have them! Let me tell you, these DO NOT disappoint!! She only made a limited number of these (12 bottles of each to be exact), and once they are gone...THEY ARE GONE!!! So, check out the pictures, read what you need to then get bottles for yourself!! Happy Tuesday, peeps! I'm sorry I've been M.I.A. for a few days! After the incident last Thursday, my hubby decided to surprise us and took Friday and yesterday off. So, we were able to have a nice, long weekend as a family before our daughter starts kindergarten in a few weeks. We did some exploring, and used my Subaru in exactly the way it should be used...some nice off roading and fun in the mountains, and did a farmers market hop. I missed posting (and of course you all), but we had a really great time just being together. 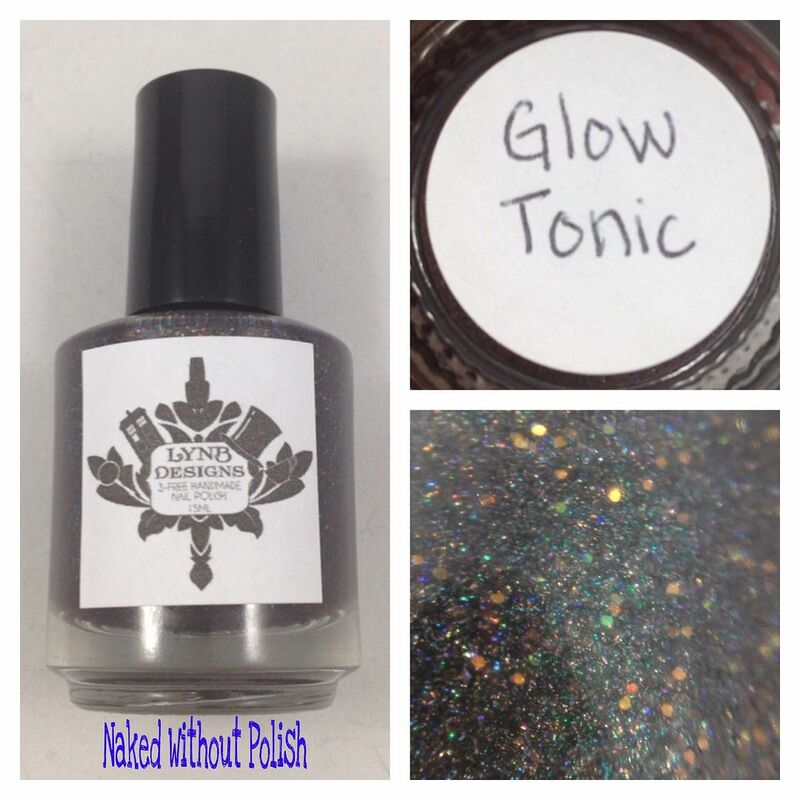 Now, today, I've got a beautiful limited edition polish from LynBDesigns.